Your partner in Omni-Channel customer engagement. We help you deliver amazing Omni-Channel experiences with the industry’s best cloud, premise and hybrid customer engagement solutions. Our mission is to provide the world’s most flexible Omni-Channel solutions and to solve complex communications problems that others won’t touch. We work with contact centers and customer experience teams to streamline the customer journey, improve productivity, lower costs and raise service levels. We integrate your current technologies, synchronize your communications and centralize your business processes using our scalable and easy to use Omni-Channel customer engagement and contact center solutions. Our vision is for you to have “Your Solution Your Way,” where you’re not limited by technology and are free to serve customers however you choose. We believe that no Omni-Channel problem is too challenging, and that every contact center and customer service team in the world can have an easy to use, flexible and scalable engagement platform that integrates existing technologies, synchronizes communications and centralizes business processes – without a complete technology and business process overhaul. We want to be your partner in Omni-channel customer engagement. As a pioneer in both cloud-based contact center and Omni-channel technology, USAN has been perfecting customer contact since 1989. Discover why some of the largest companies in the world trust USAN to provide their Omnichannel customer engagement technologies. Our people are some of the most experienced in the industry and are dedicated to solving complex problems that our competitors won’t usually touch. Our people have made us pioneers in customer engagement: We were amongst the first to the cloud and the first to solve Omni-Channel. Meet The Leadership Team. Our solution is not one-size-fits-all. We use a proven iterative process to understand your business goals and how your business operates so that we can provide incremental value and give you what you need – leveraging what you have – right now. We offer the most flexible and scalable Omni-Channel, self-service and contact center platforms available. Our technology is designed to accommodate the way your business works today, instead of having you change your operations to work with our technology. View Our Products. We were in the cloud before it was even called the cloud. 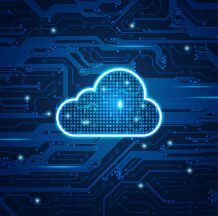 Continuously refined since 1989, with over eight generations of development, and greater than 99.999% availability in each year of operation, our cloud is one of the most robust and scalable hosted technology platforms on the market. Learn More About the USAN Cloud. Contact us about your omni-channel customer engagement initiatives.